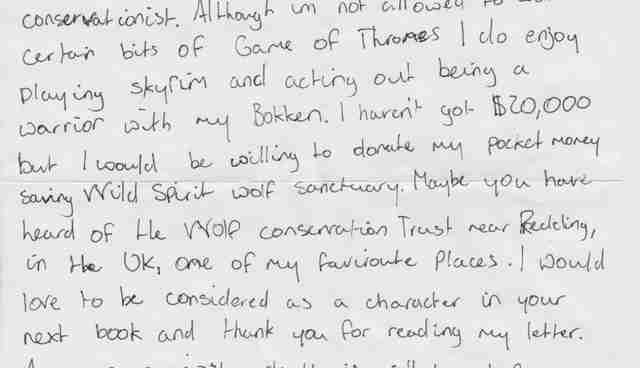 When a 13-year-old Game of Thrones fan, Jack B., wrote to author George R. R. Martin asking for a literary "gruesome grizzly death," the young fantasy buff also included a $260 donation response to Martin's campaign to help New Mexico's wolves. But instead of killing off a character based on Jack in the next A Song of Ice and Fire book -- "There's a limit to how many people even I can kill," the writer says -- Martin donated $10,000 to the Wild Spirit Wolf Sanctuary. "It pleases me no end to know that my novels, and the TV series based on them, have inspired readers as young as yourself to rally to the support of these majestic and too often stigmatized animals," Martin wrote in reply. 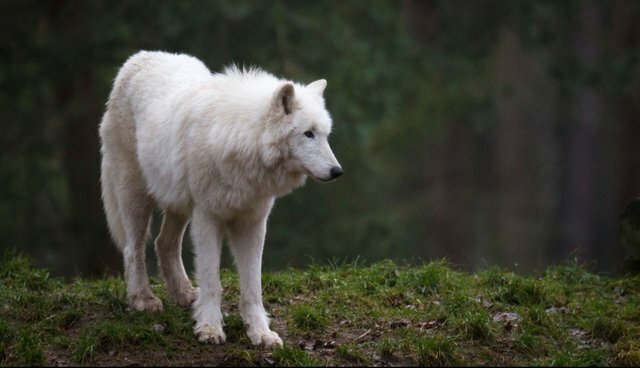 The Wild Spirit Wolf Sanctuary rescues captive-bred wolves and wolf-dogs, including a pack named after characters from the Game of Thrones series.